Occasionally, or Regular Visits: Switching is easy too! Flexible care covers all kinds of uses, and our membership starts at $10/month. Hint: 10 hours is $210/mo. in either case. 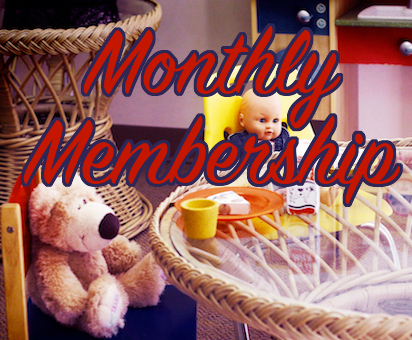 Additional Membership: $10/month to access our second location. On sign-up, pick your start month, centre, membership type, but don’t worry if things change. You can switch or exit anytime, by returning the Switch/Exit form to info@buddings.ca by the 15th of the month. Find it on the Forms Page. Occasional Members wishing to switch for one month only can let us know by buying Regular hours. The Regular membership fee will billed to your account, and you can return to Occasional for the next month.